One of my favourite things about going to a new city is getting to try out all the new restaurants or cuisines. Because we were staying in a hostel we ate out for lunch and dinner every day. So I've got quite a few places to talk about. I don't really like writing restaurant reviews of restaurants abroad as generally they aren't helpful to the majority of my readers. But I thought it would be fun to write mini reviews of all the places we ate as a sort of 'where to eat guide' for Amsterdam. I read a lot of posts like this before we went away and found them really handy for planning the trip. 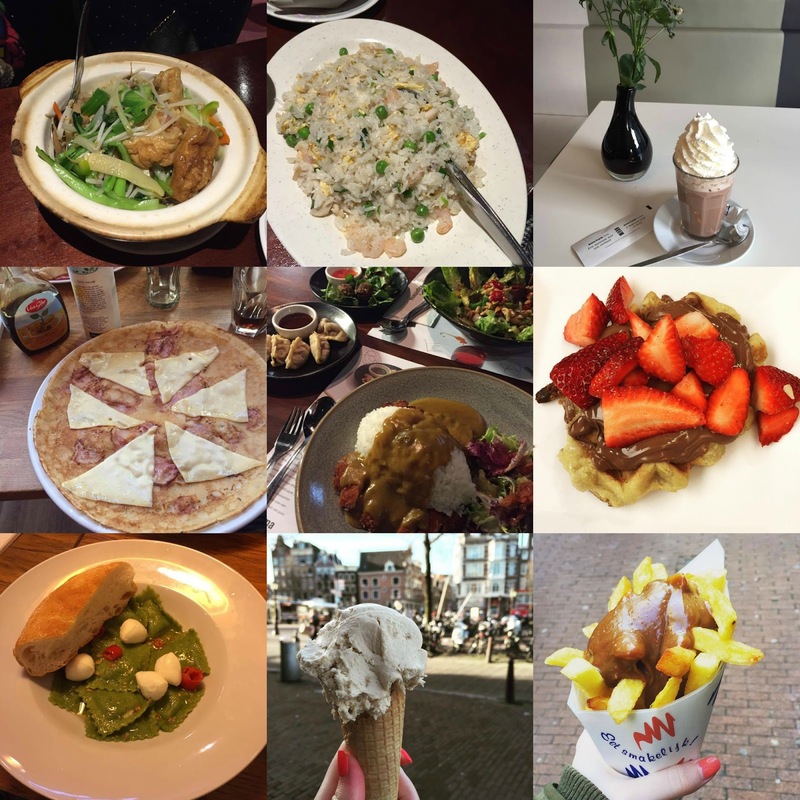 I am an omnivore but the friend I was with was vegan so if you are a vegan and wondering where to eat in Amsterdam then know that there are vegan options at all of these places apart from crepes and waffles! Amsterdam has it's own 'China Town' region that contains an absolute tonne of Chinese restaurants but also quite a few from other asian cuisines. This is the restaurant that we ate at on the first night after reading some pretty glowing reviews on Trip Advisor. We shared some veggie spring rolls to start which came with a lovely dipping sauce. For mains I had fried rice with chicken and prawns and Morag had a stewed bean curd and vegetable dish. The food was very nice but we weren't totally blown away by it. It was very reasonably priced however! Bit of a weird one to mention but the cafe in the Anne Frank House was really lovely. 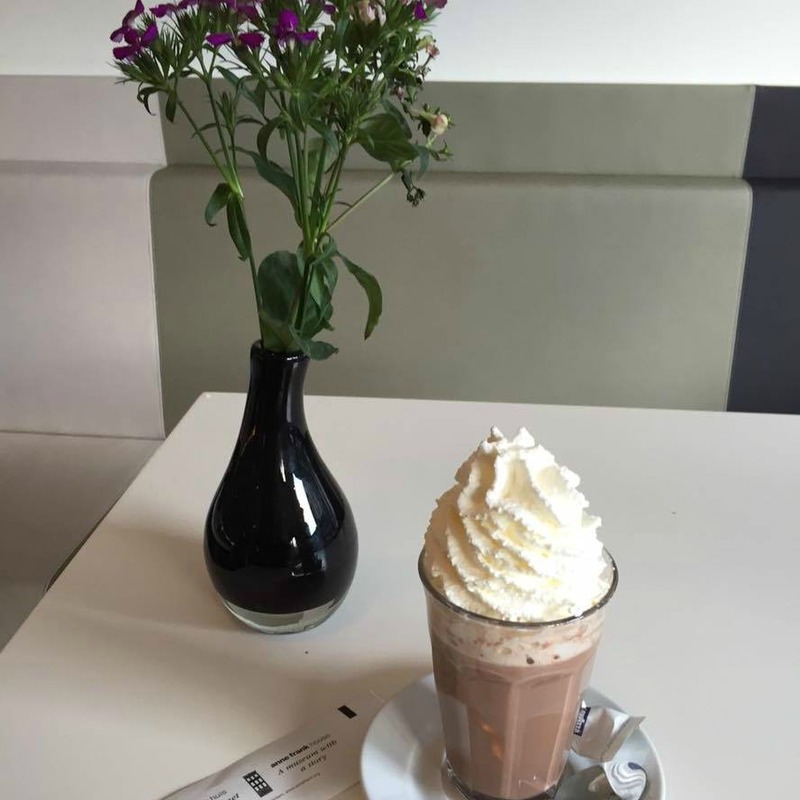 I had a hot chocolate with whipped cream which I think was €2.50 which is a good deal considering the price of a drink like this in Starbucks. The food also looked really nice and wasn't overly expensive which I think is really uncommon with the cafes in tourist attractions/museums! It was really nice to have a sit down and reflect on what we had just seen. Plus it has free wifi so we could plan out our route for where we wanted to go next. This is the only place on the list that we hadn't really done any prior research for before having our meal there. We were just looking for somewhere to eat lunch and this place seemed nice. 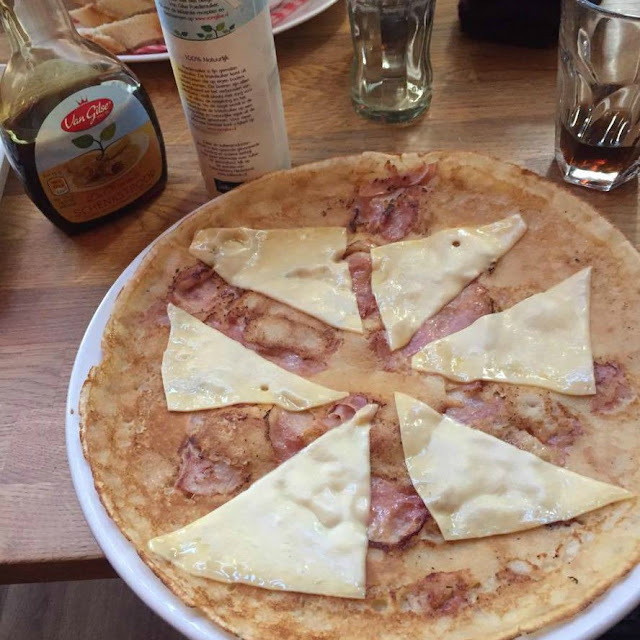 I went for a savoury pancake with ham and cheese which was delicious and really filling. But it was quite expensive at €9! The atmosphere was lovely and the owner was really nice too. Judging by the trip advisor reviews this place does really great breakfasts so maybe check out those instead! So it's not exactly the most original place to go and eat but hey, better the devil you know? On our second night Morag and I were really cold, hungry and just fancied some of that amazing Wagamama goodness. 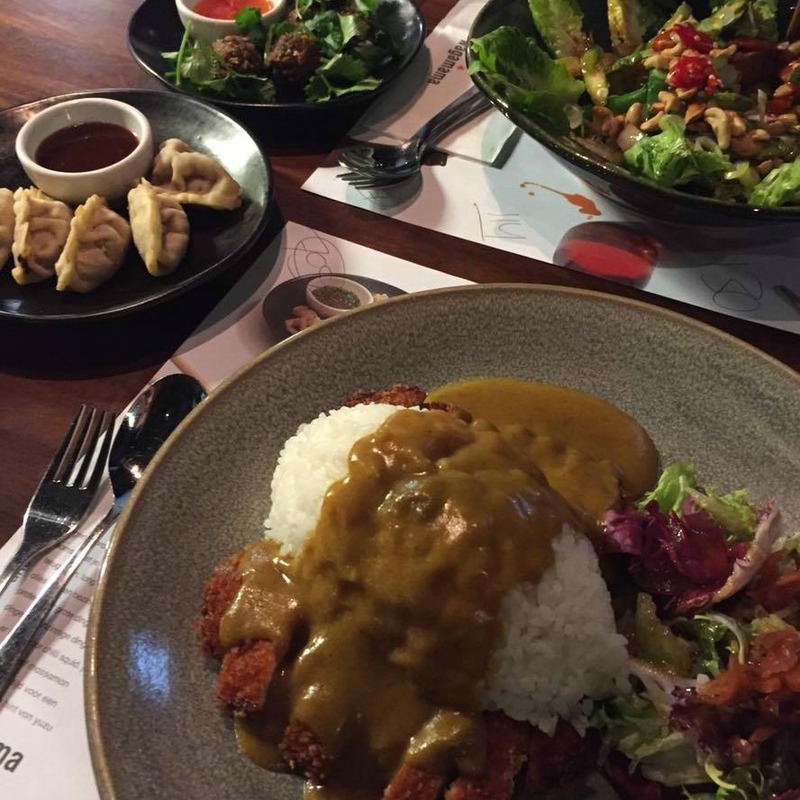 Plus there's a deal going on that if you follow the Dutch Wagamama Instagram account and post a photo you can get a free side. I opted for the classic chicken katsu curry with a side of duck gyoza and Morag went for the warm chilli tofu salad with mushroom onigiri. The meal was lovely and I think it works out at being the same price as the UK menu. The menu is slightly condensed but all the classic dishes are there. This place is my one true love. There are an absolute tonne of pancake and waffles stores over Amsterdam but this place is one of the best. And one of the slightly cheaper ones which is greatly appreciated. You can sit in or take your food to go but either way you're getting something really delicious! 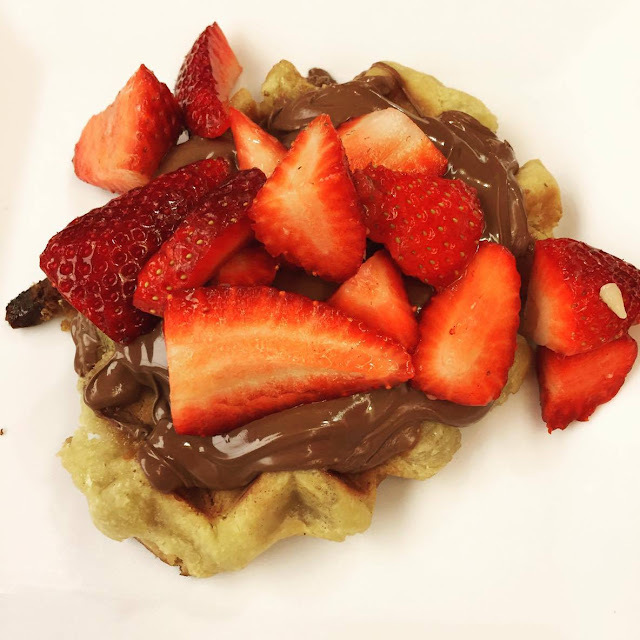 Both times I went I had a waffle with nutella and strawberries it was absolutely to die for. Some of the crepes had really interesting topics and if I had a while to spend in Amsterdam I would happily have eaten my way through their whole menu! 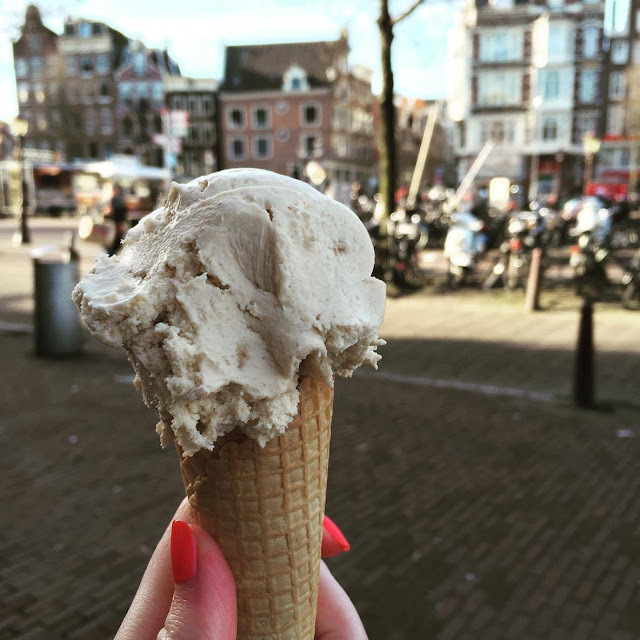 Stroopwaffle ice cream. Yup. Do I really need to say much more? Even through it was absolutely freezing when we visited Amsterdam I really couldn't turn that down. We just popped in here for a quick snack and it really was some pretty delicious ice cream. I always love it when an ice cream shop has the sort of wacky flavours that you just can't buy out of your average supermarket. For some reason I can't find any trace of this online but it's at the corner of Prins Hedrikkade and Singel. Well worth a visit. This place was probably my favourite place that we ate at for dinner the whole trip so I'd definitely recommend it. 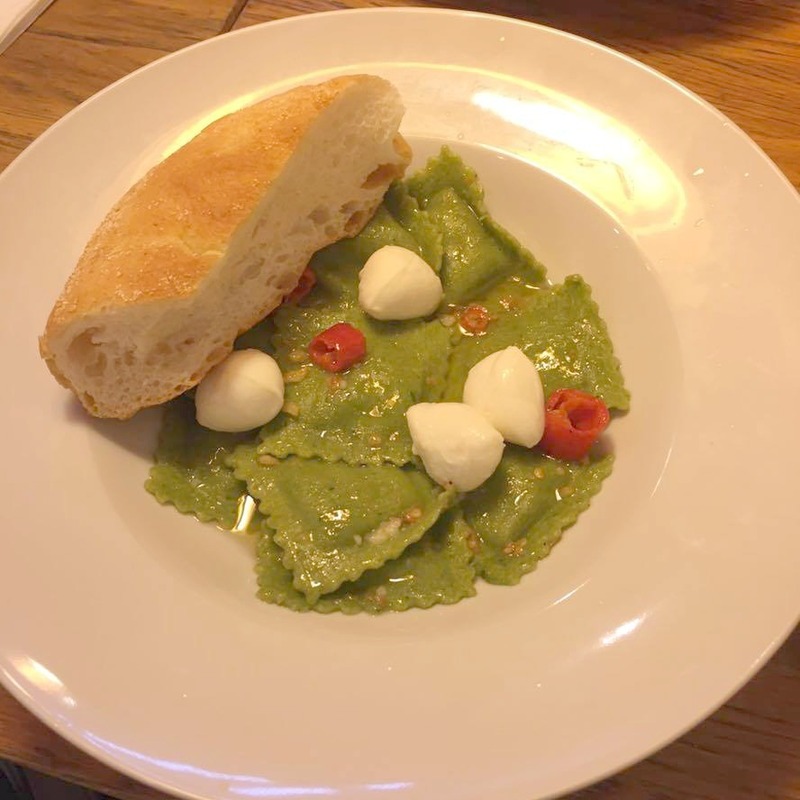 Pasta Pasta makes all of their pasta fresh and you can customise it by picking your style of pasta, sauce and toppings. I went for their spinach ravioli which is spinach pasta stuffed with spinach and ricotta cheese with the olio aglio sauce and fresh mozzarella. It was absolutely delicious, filling and the staff were really friendly. The whole meal cost about €10 so easy on the wallet too. Would love if I had something like this near me in Edinburgh! This is a fast food store that only sells chips/fries. Now as a Scot, I consider myself to be an expert in fried food. So I really could not turn down the opportunity to go and check this place out for myself! 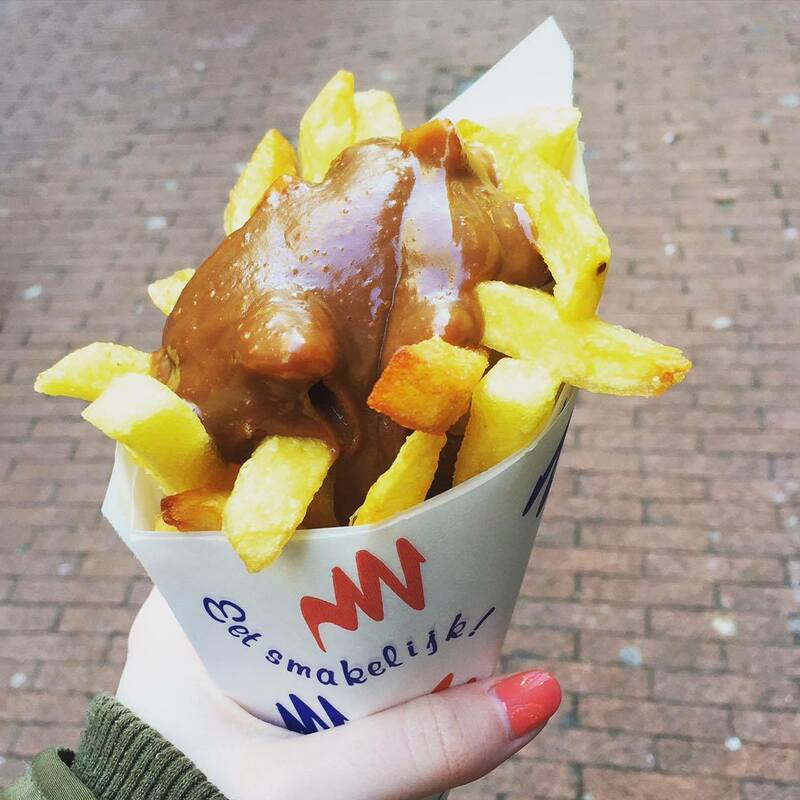 I went for the fries with peanut satay sauce because I've heard that this is a big thing in the Netherlands and I love peanuts. Normally I don't eat fries with any sort of sauce(ketchup literally makes me gag) but this was just on a whole other world. The chips were really good chips but it was the sauce that really made it. The sweetness of the peanuts in the sauce just worked so well with the crunchy, salty fries. Even if there's a queue I would recommend waiting in it. Seriously, do not leave Amsterdam without going here. That's me done! You're probably very hungry now, oops..... If you've ever eaten in any great Amsterdam restaurant then leave your recommendations in the comments!